Item # 313237 Stash Points: 3,495 (?) This is the number of points you get in The Zumiez Stash for purchasing this item. Stash points are redeemable for exclusive rewards only available to Zumiez Stash members. To redeem your points check out the rewards catalog on thestash.zumiez.com. 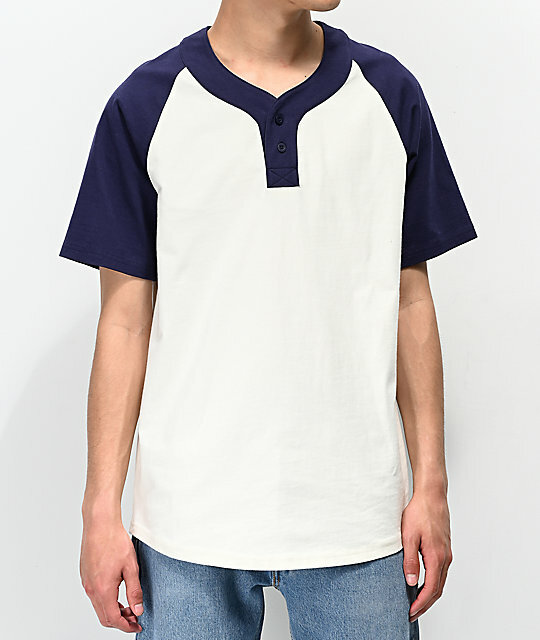 Batter up, the baseball-inspired Empyre Change Up Cream & Navy Henley T-Shirt is a refreshing take on a classic look. Featuring a cream colored body with navy blue sleeves and a matching navy collar, this shirt provides a clean look with ample contrasting style. 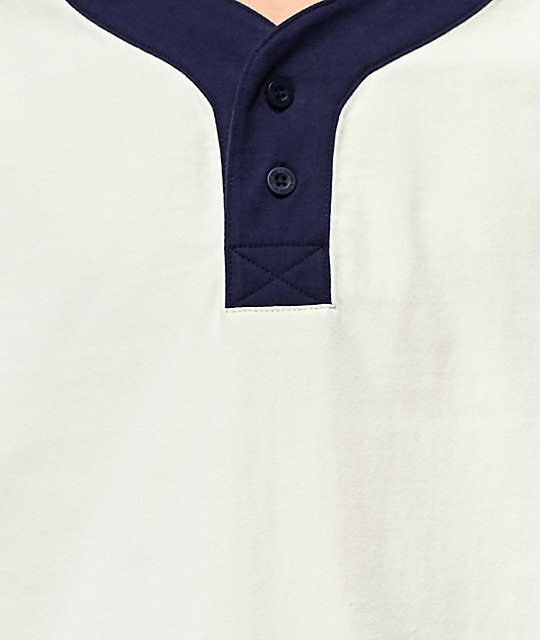 Finished with a two button up placket, this top remains true to a an iconic silhouette. 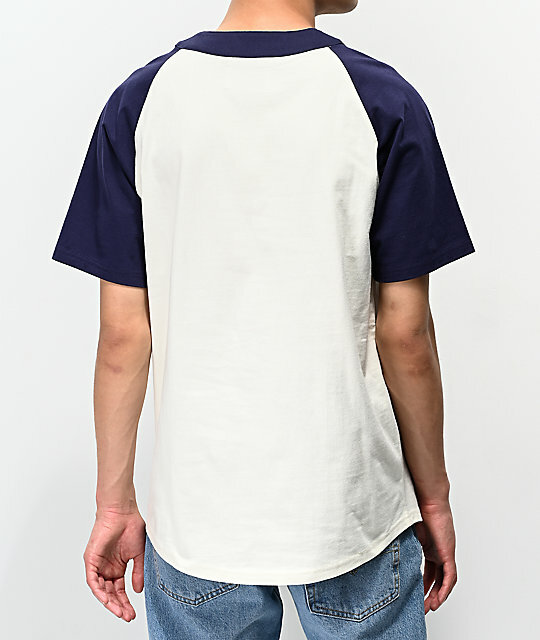 Change Up Cream & Navy Henley T-Shirt from Empyre. Cream with navy sleeves & collar.